Home > 2002 > Authors > Bible Study > December 02 > Holy Spirit Q&A > Lynnford Beachy > Nature of Christ > Newsletters > Questions and Answers > Son of God > Son of God Q&A > The Holy Spirit > Is Jesus the Holy Spirit? 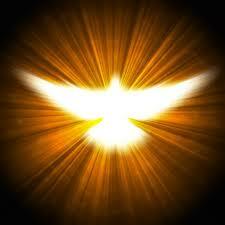 Question: Is Jesus the Holy Spirit? Here Jesus made it clear that He would return to His disciples as the promised Comforter. He said that this Comforter was already dwelling with them, on the outside, but soon He would be in them. Then Christ said that He would come to them. Jesus continued, “At that day ye shall know that I am in my Father, and ye in me, and I in you.” (John 14:20) Jesus said that the day the Comforter comes to them, His disciples would know that He was in them. He further explains, “If a man love me, he will keep my words: and my Father will love him, and we will come unto him, and make our abode with him.” (John 14:23) Here we see that the promised Comforter that would come to the disciples was both the Spirit of the Father and the Spirit of His Son. When we receive the Spirit of the Son, we receive the Spirit of the Father because the Father dwells in His Son by His Spirit. You wrote, “it is quite clear that ‘the Holy Spirit’ is a ‘third’ ‘entity’ though not a person.” Actually, this is not clear, it is not even taught in the Bible at all. According to Webster’s New Explorer Dictionary, the word “entity” means, “something with separate and real existence.” This could not be true of the Holy Spirit, for the Bible says that it “proceedeth from the Father.” (John 15:26) The Greek word that was translated proceedeth is in present tense, indicating a continual process of proceeding from the Father. Since the Holy Spirit continually proceeds from the Father, it could not have a separate existence from the Father.